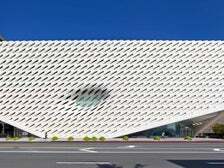 Since opening on Sept. 20, 2015 as L.A.’s’ newest contemporary art museum, The Broad has drawn more than 400,000 visitors from diverse backgrounds, according to attendance and survey data released in March 2016 by the museum. 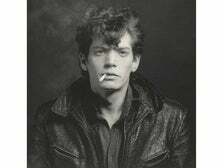 On view at the Los Angeles County Museum of Art (LACMA), "Robert Mapplethorpe: The Perfect Medium" is a major retrospective examining the work and career of one of the most influential visual artists of the 20th century. 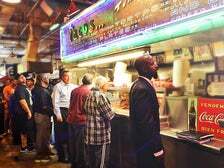 The Guide to Los Angeles Restaurants in "City of Gold"
Los Angeles is regarded as one of the top dining destinations in the country, a multicultural mecca for foodies and chefs alike. 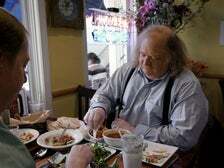 From Michelin-starred restaurants to humble street carts, Los Angeles Times restaurant critic Jonathan Gold has written about it all for more than two decades. The first food writer to win the Pulitzer Prize in criticism, Gold is the subject of a new documentary, City of Gold. Directed by Laura Gabbert and featuring some of L.A.’s most acclaimed chefs and restaurants, City of Gold takes the audience on a journey to discover Los Angeles through the eyes of one of its foremost cultural writers and a true ambassador of the city. Read on for a guide to L.A. restaurants featured in City of Gold. 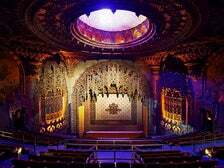 The Los Angeles Conservancy has announced the 2018 season of Last Remaining Seats, featuring classic films and special events in the historic theatres of Broadway. 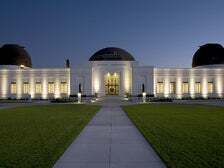 With so much to see and do in Los Angeles, you might think it’s impossible to do it all in a day. Not to worry - you and your loved one can easily enjoy a wide range of experiences thanks to the city’s wealth of culture and diversity. Read on for our 24-hour guide to romantic Los Angeles. There are many different Los Angeles neighborhoods worth exploring, but for a 48-hour stint, you’re going to want to pick a pair that have differing feels from each other. The first day, look to Mid-City West, a great district with a metropolitan but relaxed feel. Then, head south to San Pedro to discover the city’s main harbor and its community. Read on for your 48-hour guide to romantic Los Angeles. Whether you’re local or visiting from afar, Los Angeles is the perfect destination to be whisked away with a loved one. But every rendezvous requires a little planning. Fortunately, we’ve got a few itineraries to help create that romantic getaway for a three-day weekend of bliss with the one who matters the most. Los Angeles is renowned as the Entertainment Capital of the World, home to celebrities and a global destination for luxury. 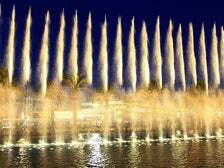 But that doesn’t mean visitors can’t experience everything that L.A. has to offer without breaking the bank. From world-class museums to multicultural dining, read on for our 72-hour guide to visiting Los Angeles on a budget. Los Angeles is renowned as the Entertainment Capital of the World, home to celebrities and a global destination for luxury. 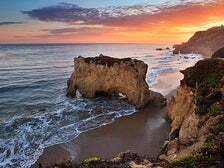 But that doesn’t mean you have to break the bank to experience everything that L.A. has to offer. From world-class museums to multicultural dining, read on for our 48-hour guide to visiting Los Angeles on a budget. 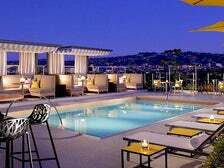 Los Angeles is renowned as the Entertainment Capital of the World, home to celebrities and a global destination for luxury. 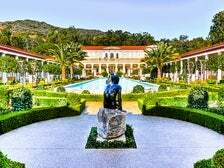 But visitors can still experience everything that L.A. has to offer without breaking the bank. From world-class museums to multicultural dining, read on for our 24-hour guide to visiting Los Angeles on a budget.